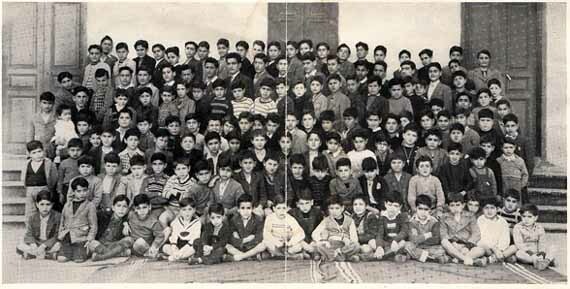 Since 1899, our organization has been dedicated to helping poor and orphaned Syriac Orthodox Christian Children in the Middle East. We contribute toward their education and care at several institutions, including our own T.M.S. School in Beirut. We have developed close relationships with the schools and orphanages we send money to. No part of your donation ever goes to fundraisers, and no member of our organization is ever paid or compensated for their time or work. 100% of your contribution is used to benefit needy children. The recent turbulence in the middle-east and the many years of terrible economic conditions and violence have made it very difficult for the Syriac Orthodox Children and their families to survive. Parents cannot properly provide for them and pay for schooling because of the circumstances there, and in some of the worst cases, the children are orphaned. These children and their families often turn to one of the religious institutions for support. At these schools and Orphanages, they have a chance to get a real education in useful subjects and many go on to become church and community leaders. Since 1899, our organization has been helping to support these schools and orphanages which educate and often house these needy children. These institutions and the education they provide, are an important part of our existence and the building block for future generations to come.